My name is Micah Iverson, I am a freelance web designer, developer and 3D artist. My recent focus has primarily been on web design and building websites for clients. I am the owner and created of Krazier Designs LLC (http://www.krazier.com) which designs and develops websites for clients and also in-house projects to benefit various industries. 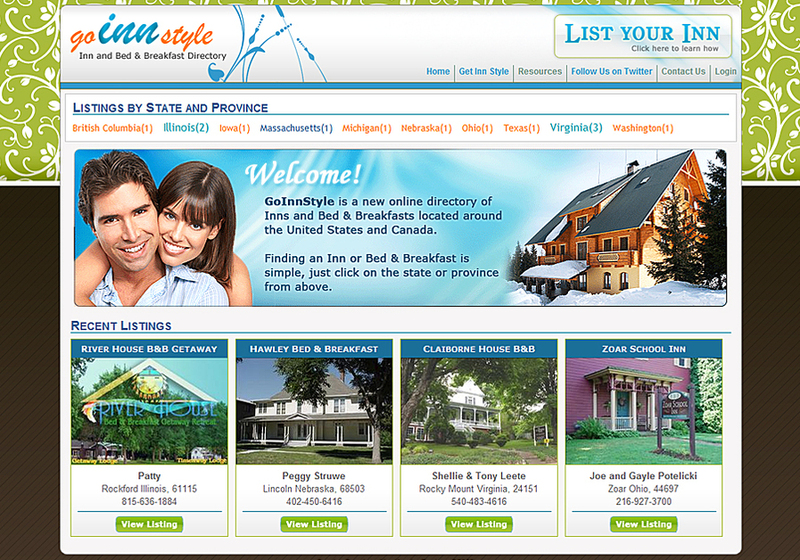 This image is from GoInnStyle.com, a website I recently created as in interal project for Inns and Bed & Breakfasts to list their properties for free to help promote themselves.